The Macrophage Metabolism Laboratory of Dr. Tiffany Horng is moving from Harvard. T.H. Chan School of Public Health to open a new laboratory at the School of Life Science and Technology (SLST) at the ShanghaiTech University in Shanghai, China. We are looking for an ambitious and highly driven postdoctoral scientist to work with Dr. Horng to elucidate mechanisms by which cellular metabolism supports macrophage biology in a variety of physiological and pathophysiological contexts. The lab’s research is in the burgeoning field of immunometabolism. Drawing on our extensive expertise in studying macrophage biology and metabolism, we seek to understand the molecular and cellular mechanisms by which metabolism is coordinated with signal transduction, transcription, and gene regulation in controlling macrophage activation by immune signals and signals of infection. Towards this end, the lab employs a combination of tissue culture models, molecular biology, metabolomics, genetics, biochemistry, and mouse models. In our studies, we have discovered that the AKT-mTOR pathway, a central metabolic pathway, integrates metabolic signals to control of macrophage activation, especially energetically demanding aspects of macrophage activation. The Akt-mTOR pathway controls production of Ac-CoA, the metabolic substrate for histone acetylation, to regulate histone acetylation and expression of inducible genes during macrophage activation. In contrast, aberrant activity of the Akt-mTOR pathway leads to inappropriate gene induction and macrophage activation. In ongoing studies, we have been studying how mitochondrial metabolism impinges on chromatin to regulate gene induction and macrophage activation. For more information about the lab’s research, please see: https://www.hsph.harvard.edu/tiffany-horng/. For representative publications, please see: Covarrubias et al, eLIFE 2016 (PMID 26894960); Byles et al, Nature Communications 2013 (PMID 24280772), and Langston et al, Frontiers in Immunology 2017 (PMID 28197151). How does mitochondrial metabolism and other aspects of cellular metabolism influence macrophage activation in different contexts? How does macrophage metabolism influence its interactions with parenchymal cells? How does dysregulated metabolism contribute to aberrant macrophage activation in pathophysiological contexts? Specific projects for the postdoctoral fellow will be determined through discussions with Dr. Horng, depending on his/her skills and experience as well as the availability and timeliness of the projects. The successful candidate will have a strong track record and will demonstrate excellent inter-personal, organizational and time management skills and good English communication skills. He/she must have a strong passion for science and the ability to work independently as well as part of a team. Applications from adventurous foreign individuals are also highly encouraged. The research will be based in the modern open lab space in the SLST in ShanghaiTech University, situated in the heart of Zhangjiang Hi-Tech Park in the Pudong Science District in Shanghai. The initial term of this post is 24 months, but the term can be extended up to 4 years, with the possibility of the promotion to Research Assistant Professor. The annual salary will be decided based on the University salary scale, and the experience and qualification of the candidate. All postdocs in ShanghaiTech will have access to various social benefits provided by the university, including an in-campus accommodation and contribution to social security. A detailed job description and instructions for the application process are described below. Any informal enquiries regarding the position should be directed to Dr. Horng via e-mail: thorng@hsph.harvard.edu. To design the course of research projects under the guidance of Dr. Horng. To design experiments and conduct them accurately and reproducibly. To analyse and interpret data objectively and critically. To report and discuss results with Dr. Horng and other lab members. To present the work at internal and external seminars and at national and international scientific conferences. To contribute to the preparation of publications and applications for funding. To assist Dr. Horng with supervision of students and/or junior research staff working in support of the projects. To cooperate with Drs Horng and lab members in organising lab regents and equipment and maintaining high standards for the lab space. A PhD or an equivalent degree in a biomedical science. Basic knowledge in molecular cell biology. Logical thinking and critical thinking. Publication in good (e.g., SCI) journals. Experience and basic skills in molecular cell biology, biochemistry, mammalian tissue culture, and working with mice, as reflected in the publication record. Knowledge of immunology and/or metabolism is highly preferred. Experience and basic skills in working with macrophages, immunological techniques, and/or metabolic assays are desirable. Ability to present and discuss the work and research topics clearly in written and spoken English with the supervisor and academic co-workers. Ability to cooperate with and support colleagues and to maintain cohesive and collaborative relationships. 4. Contact details of two to three referees, one of which should include most recent supervisor/line manager. References will be requested after the initial selection. Qualified applicants interested in this position should submit the above documents directly to Dr. Horng via email: thorng@hsph.harvard.edu. 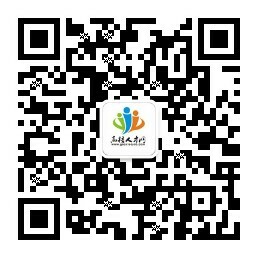 Simultaneously, applicants should complete the online application form using the Shanghai University of Science and Technology Talent Recruitment System (http://jobs.shanghaitech.edu.cn/) following the instructions. Shortlisted candidates will be contacted and interviewed by Dr. Horng. The selection process will commence after July 15st 2018 and will continue until the position is filled.